Zac Brown Band "Jekyll +Hyde"
Whilst listening to the album I found that various songs stood out for me, Remedy was one of these. The production interestingly mixes the Zac Brown Band 'sound' that a lot of listeners will already be familiar with and scattered Celtic influences which blend together really well. The latter part of the track also sees the introduction of a gospel style choir, something that works surprisingly well and adds another dimension to the track. Having been a fan of Sara Bareilles for years and knowing how well Kenny Chesney and Grace Potter work together I was instantly curious to hear Mango Tree. 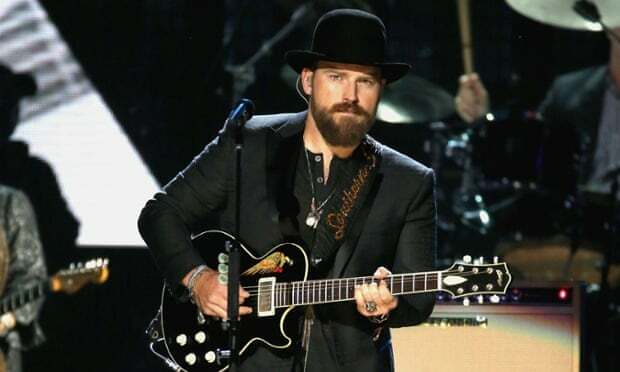 Throughout the album the band show their versatility and Mango Tree is no exception, it's swing styling being more immediately suited to Sara but Zac Brown Band's great performance quickly made this track one of my favourites. Zac's and Sara's voices blend really well and I honestly hope we will see Sara featured on more of their tracks in the future. The instrumentalisation is, in my appeal, a huge part of the appeal of Castaway. It's relaxed, reggae influenced production will inevitably with listeners tapping their feet along (if nothing else!) I imagine it is a great song to hear live! Whilst Castaway doesn't hold as much lyrical depth as the other tracks on the album that doesn't diminish it's appeal, it is certainly a great 'good time' track. I'll Be Your Man (Song for a Daughter) is another strong track, blending a really lovely lyrical message with soft reggae styling. I would urge listeners to listen closely to the lyrics of the track, the melody is catchy enough to be drawn along in that and miss touching lyrics such as "go on and dance, dance like there's no-one around" and "I thought I knew love until you came into this world". The instrumental breakdown just over half way through the track is effective, I did just feel like the breakdown goes on for slightly too long, the opening half of the track being far stronger. I'll Be Your Man (Song for a Daughter) is, as a whole, a really sweet track that I am sure will touch many listeners. Bittersweet is truly a bittersweet track. It's soft production draws the listener's attention to the lyrics of the incredibly emotional track, lines such as "doctor said there's nothing we can do, you took my hand said take me home" and "I won't forget the way you loved me, the amazing way you loved me". Zac's vocals are really strong and he delivers an emotive, heartfelt performance. There were unfortunately a couple of tracks that I didn't particularly like. Whilst I think Mango Tree is great, the other collaboration on the album, Heavy Is The Head, I really didn't like. I have never liked the overly rocky Zac Brown Band tracks and is this no exception. Unfortunately it just feels a little messy and Zac's vocals feel strained. I have listened to the complete album all the way through and I have unfortunately always skipped this track. I also didn't like the odd dance music styling of Tomorrow Never Comes (the acoustic version being a lot stronger). The overall sound of the track is okay but the band as a whole don't seem to really fit against the dance styling so it feels a little like two completely separate parts of the track rather than coming together as the other tracks on the album have done. Jekyll + Hyde is undoubtedly a very strong album. Homegrown and Loving You Easy have already been released as singles and it will be interested to hear what follows. Zac Brown Band manage to keep their 'sound' whilst still experimenting with other genres and influences to (mostly) great success. I'd definitely recommend purchasing the album! Labels: Zac Brown Band "Jekyll +Hyde"